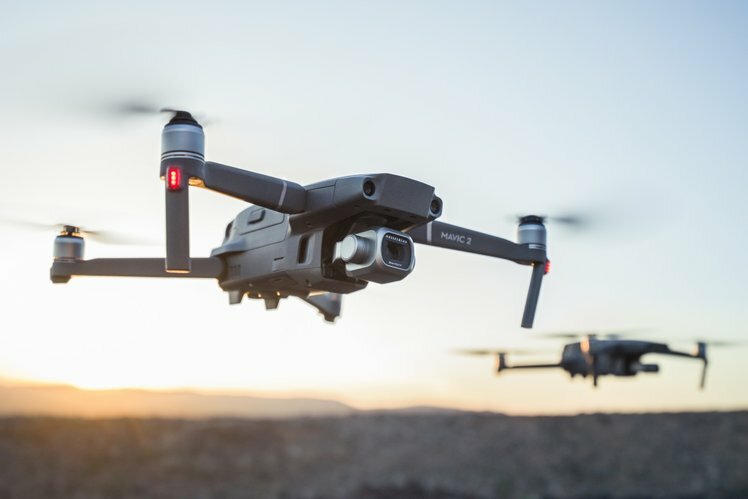 DJI has officially launched the Mavic 2 Pro And Mavic 2 Zoom camera drones. Not before time; the original mid-July launch date launch date was postponed but, unfortunately, it wasn’t in time to stop them being printed in the Argos catalogue. The Pro comes with a 1-inch sensor Hasselblad camera and has a price that reflects it – £1,299. You’ll be able to transmit 1080p footage over 8km (around 5 miles) – quite impressive – images are also sent straight to the mobile app so you can immediately review footage and stills. 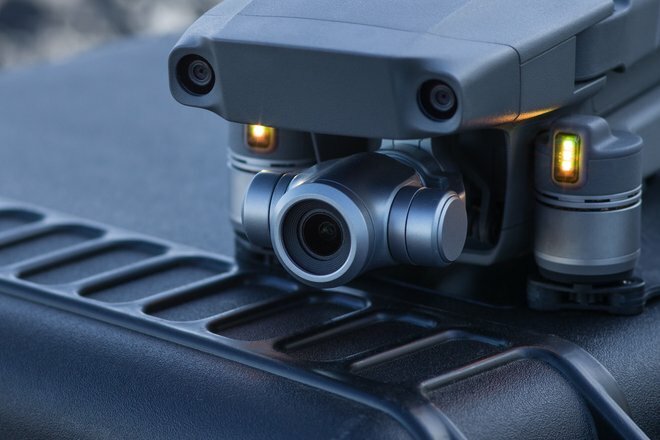 The Mavic 2 Zoom is the first foldable drone with optical zoom (24-48mm, 1/2.3-inch CMOS sensor). It’s cheaper than the Pro but not significantly so at £1,099. You can combine the 2x optical zoom with a 2x digital zoom, too. Both cameras capture 4K UHD video, recording at a maximum bitrate of 100 megabits per second using the H.265 codec. Both have a maximum speed of 20metres per second – around 45 miles an hour and they have a flight time of up to 31 minutes. A Fly More Kit, including two additional batteries, a multi-battery charging hub, a car charger, a battery to power bank adapter, two pairs of propellers and a carrying bag, retails at £279. Hyperlapse is supported via the mobile app; you can get the drone to circle an object or fix on it automatically. ActiveTrack technology ensures that objects can be recognised and locked onto even if they disappear behind another object temporarily. 10 sensors around the drone detect obstacles and help avoid collisions. 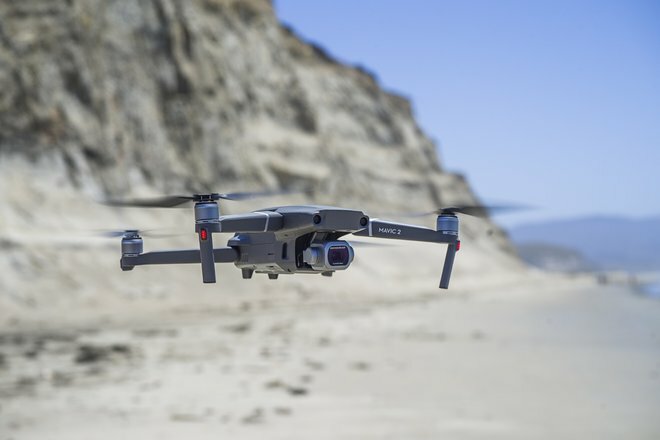 The Mavic 2 Pro can capture colour-corrected 20-megapixel aerial shots, while an adjustable aperture from f/2.8-f/11 provides more control across a wide variety of lighting conditions. With 4K 10-bit HDR support, the Mavic 2 Pro can be plugged into a 4K TV with HLG, too.